I have been living in this shirt lately. It's one of those that colours that you underestimate at first and realize later how much mileage you can get out of it. This outfit was en route to dinner last weekend (minus the hat) and I wore it again Monday morning paired a black jean skirt and scarf for the office. 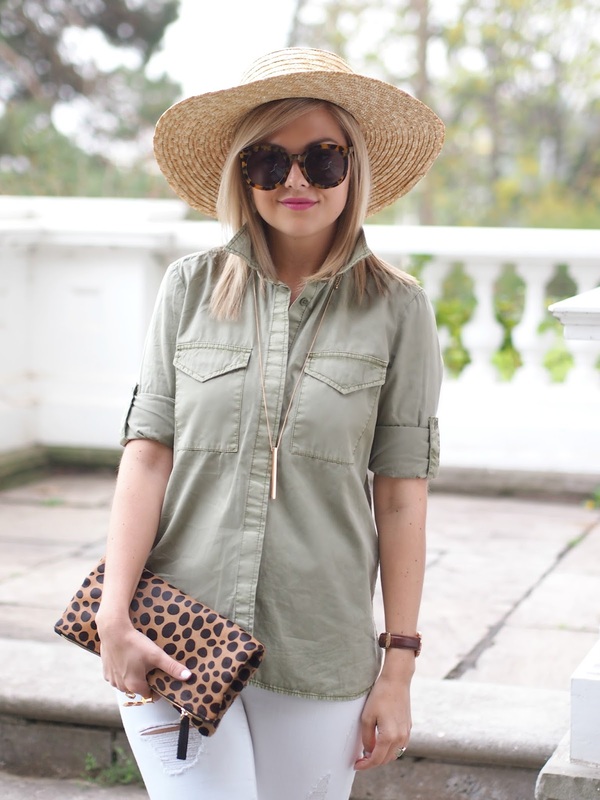 Beautiful outfit, looks like you're about to go on a safari trip -- I love it! Such a pretty look! I love the soft green top. So perfect for the summer! I love the colour of that blouse, and your shoes! I love that sunglass, hat, necklace combo on you! So fierce!! One of my favorite outfits. I am especially loving that leopard clutch. 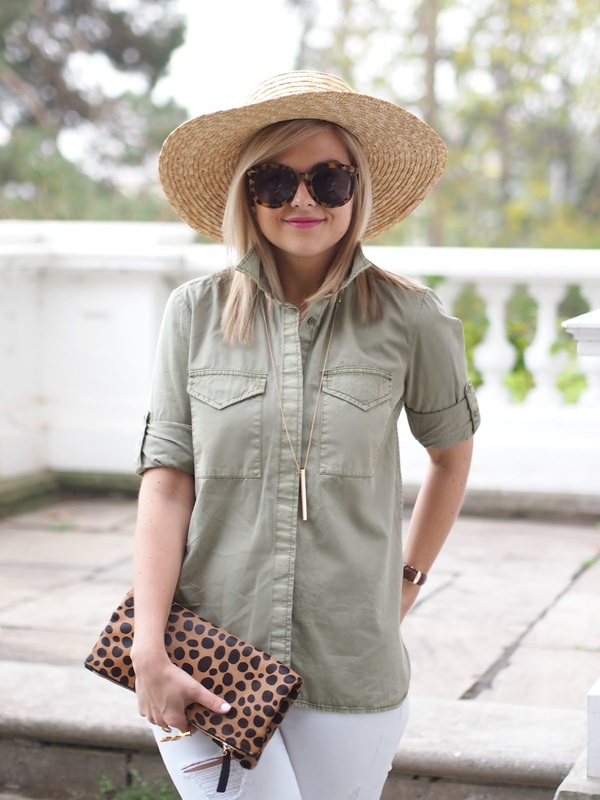 Such a chic and safari like outfit! I like it a lot! I NEED a new pair of white jeans & I can't believe I didn't even think to try Gap! Heading that way to check em out!! I love the sparkly shoes with this look! You have the best style! I'ven noticed that Banana Republic has had a very utilitarian trend lately as well--I'm loving the look! Love how you added a leopard print clutch to this casual chic outfit, it adds a touch of fun to the overall vibe! Great style! Love the shirt. Such a fab look! This is awesome! Love the shirt and love the sparkly shoes!